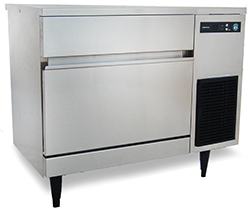 Commercial Home Products specializes in Serving and Repairing Hoshizaki Ice Machines. We have repaired over 100’s of Hoshizaki appliance over the past few years and we got the testimonials to back up our experience. The owner Boris studied Mechanical Engineering in Israel and worked for a High Tech Military Facility that was making surveillance systems that saves soldiers lives. He likes to solve technological challenges and help customers when others can’t. Regarding Commercial Home Products, he took a part of a intensive training on Hoshizaki by the previous owner that shared a lot of experience servicing both products over the years. Boris was wonderful. I called him yesterday. He came today (on time) and took a thorough look at our old Wolf range. Diagnosed problems with the gas supply for 2 of our burners, fixed them quickly..He's smart, honest, and funny. The price was right, too. Thanks, Boris!